There has been a lot of talk lately about repealing the Costa Hawkins Rent Control law that was passed in the 1990’s. Costa Hawkins essentially curtailed a jurisdiction’s capacity to impose rent control. Now Unions and Tenant organizations are seeking to repeal Costa Hawkins (CA). What is puzzling about all this, is that while the cities are looking to reduce the cost of housing, they are doing very little to make it easy or less costly to develop new housing. By imposing rent control laws without corresponding relief in development costs, jurisdictions like Sacramento are probably going to worsen the rental market for both the Tenants and the Landlords. Property values will go down, the incentive to build new units will diminish and property management regulations will increase. Ultimately as property values go down, so does property tax revenue – that funds education and local services (police). Cities such as Sacramento and Santa Cruz are looking at rent control policies to impose in the event the repeal of CA is successful this November. 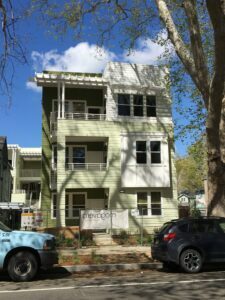 Richmond and Mountain View have recently passed rent control laws. When Richmond instituted rent control it was retroactively applied. For example, the rent control policies went into effect November 2015, but the rents were retroactively controlled to July 21 levels. In other words, even if the Landlord raised the tenant’s rent after July 21, When the Rent Control went into effect, the rent was rolled back to what the tenant was paying prior to July 21st, 2015. If a tenant moves into a building after rent control is imposed, the rent the landlord charges will be based on a formula established by the city or jurisdiction. If this 2018 Ballot initiative passes in California, this will open the door for rent control in many neighboring communities and ultimately statewide. Rent Increases could be tied to an index such as a CPI, so landlords cannot increase rents based on market demand or what a tenant is willing to pay. Landlords will be subject to the whims of the governing body. It will be very difficult for landlords to evict a tenant without cause, even if a tenant is month to month. Tenants will not want to move and – like in San Francisco – a tenant can sublease their apartment unit out to a friend at the below market rent just to keep the unit. To evict a tenant the Landlord will have to provide a reason for the eviction other than the desire to raise rents. So, even if a tenant is on month-to-month, and the landlord has a tenant willing to pay a lot more rent, the Landlord cannot evict the tenant. It is possible that the new rent control laws will include a provision that if the owner of an apartment building decides to sell, the seller may have to pay each tenant a fee in anticipation that the tenant might be displaced when the new owner takes over. For example, if the building is sold to an investor who wants to renovate certain units, the tenants affected will have received the displacement fee from the previous landlord. The Costa Hawkins Repeal is heating up for this November’s ballot. If repealed, all multifamily (including the possibility of single family homes) will be subject to rent control laws. The California Apartment Association has received $4 million from donors to fight the repeal initiative. Unions (Tenant Unions and Labor Unions) are orchestrating -and or- backing the effort to repeal Costa Hawkins. Converting residential units into retail or office where rent control doesn’t come into play. If Richmond is any indicator, a repeal of Costa Hawkins will not be good for landlords. In fact, some landlords I spoke with said that the City of Sacramento could create even more draconian policies. Plus with any new governmental intervention like this, new layers of government will be created to enforce the new rules. These layers are not free, and I suspect the entire financial burden will be placed on the property owner. For additional information related to the Repeal of Costa Hawkins check out the links below.